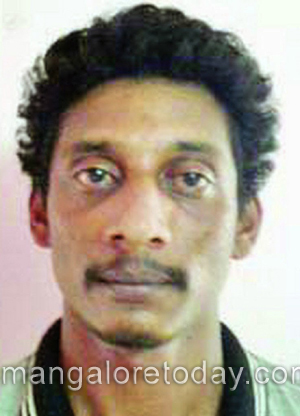 Bantwal, Mar 24, 2015: The Bantwal and Vittal Police have in a joint operation apprehended one Jabbar (30) of Karyadi village on the charges of threatening a minor girl who was allegedly raped by two others. It has been gathered that the 14 year old girl from Kolpe in Idkidu village was befriended by one Bobbekeri Basheer who had befriended her after obtaining her cell number when she used to visit a shop at Vittal for mobile recharge. It is alleged that on April 18 last year he had managed to invite the girl to his house and took her in a car to a deserted spot at Madikeri along with his accomplice Basheer said to be involved in bike thefts. There he had allegedly raped the girl. Later in another development, Abdul Basheer too had raped the girl after promising marriage. Later Jabbar who came to know about the developments, forced the girl to accompany him and threatened to kill her otherwise. Terrified by the development, the victim had lodged a police complaint on April 23 last year. Though the first two accused were arrested in May last year. Jabbar who was working as a truck driver had given the cops a slip. However, following a tip off, the police succeeded in arresting him on March 24, Tuesday.